On the first episode of Home & Garden TV’s premiere episode of “Design Star,” they started with their classic “white box” design. Designers were given a white room with a bed, bookcase and nightstand, and asked to create a room that matched another designer’s personality and style. After watching, it made sense that a “white box” approach to visualizing rooms within our own homes could help make flooring decisions much easier. When you’re ready for new flooring, your rooms have so many elements that it’s often difficult to determine a flooring direction. Can we find our own version of the white box in our home? Let’s try. Start by removing all of the accessories. The colors and styles of these smaller items can distract you from seeing the basic lines and feeling the fundamental characteristics of the room. Next, take all pillows and small tables and chairs to another room. When you’re finished, only large furniture pieces and window coverings should be left. Now, are there any pieces in this room that you are considering recovering or replacing? If you think new curtains may happen soon, take them down. If an easy chair is due for a slipcover, grab one or more neutral sheets and cover cover cover. This takes you down to the bones of the room, in terms of both color and use of space. Once you’re down to the basics, grab your samples and magazine pages and consider your flooring options. Without all of the distractions of a finished room, you can take the time to really consider what you want that room to feel like, and make the right choice for your space. And here’s the other good news: you’re already most of the way toward clearing your room to get that flooring installed! Do you find it frustrating to shop for a new piece of furniture or accessories because you bring something home and discover that it’s not the color match you expected? Are bathroom towels a challenge because you can’t remember your tile’s tone? Take advantage of a simple approach during the installation process and make your life easier for years to come. Paint is also easy to sample. Buy a packet of index cards, or use any heavy paper stock, and paint a card for every color in every room. To make your life easier later, write the paint name and brand on the back. Don’t rely on the original paint chips. If you compare them to the paint, you will discover that the chip and the wall are not an exact match. Finally, see what you can collect in terms of fabric samples. If you have curtains made or furniture covered, ask for some of the fabric to add to your collection. If that option is not available, check the hems to see if you can trim a small piece of fabric without damaging the piece. When your sample kit is complete, take few photos of each room from various angles. This is a good way to capture a fireplace, bookshelf or rug. Now put your sample books or boxes together. Depending upon the size of your sample collection, a large envelope or photo box per room should hold everything. Now you’re ready to shop, prepared with all the information you need to make good decisions! Bring a Friend Shopping, Stretch Your Perspective! Are you ready to head for the flooring store but feel uncomfortable tackling it yourself? Maybe bringing a friend along will make the process more comfortable for you. But before you decide to take this step, consider who you want to take and what role you want them to play. Choose someone whose taste you like. Your buddy from high school with the scary taste may be a blast at a party, but you don’t want her pushing for retro shag when you’re hoping for the classic wood option. Think about the homes of your friends. Who has taste that most closely matches yours? That’s a likely candidate. Choose someone who will work with you. Let your friend know what you need. Do you want help actually choosing your flooring, or just someone to provide support? Would it be helpful if your friend keeps your list of requirements? Do you get distracted and need a friend to keep you on task? Figure out what you want, and let your friend know before you go shopping. Once at the store, let your salesperson know that you are the decision maker and what role your friend will play. That makes it easier for the salesperson to help you meet your goals. Finally, if you realize that your friend is actually a hindrance to the process; don’t be afraid to reschedule your flooring decision for some time when you can come by yourself. Another pair of eyes can be a helpful tool when you’re making flooring decisions. If you plan carefully, bringing a friend can make the process easier and more fun. Why not try out the buddy system and see how it works for you? Up through the end of WWII, Alexander Smith & Sons of Yonkers New York was one of the world’s largest carpet manufacturers, producing up to 26,000 square yards of woven wool carpets per day. Wool, one of nature’s most brilliant products has been used in textile production since 4,000 BC! However, when nylon was introduced during WWII, wool carpets quickly lost their position of supremacy. From that time on, wool carpets have accounted for only a fraction of the carpet market, but they still incite desire for their richness, safety and beauty. When it comes to hiding soil, wool performs wonderfully. Even when they do get dirty, wool carpets readily return to their natural beauty with most standard commercial cleaning methods. Another key to wool’s success is its ability to retain its beauty for 20 years or more. When constructed well and maintained reasonably, wool will never “ugly out” like nylon or polyester. And, because of its affinity for dyes, you can find some of the deepest and richest colors in wool carpets. Finally, wool is a safe carpet, recognized as non-allergenic and will not burn (wool self-extinguishes). A down side to wool carpets is the expense. One more caution is that because of its affinity for dyes, wool carpets may also be a bit more susceptible to stain agents like red wine or fruit drinks. Nonetheless, if you have the budget and the ability to protect your carpet from stain agents, wool is a luxurious carpet that will serve you well for many, many years! Lyptus hardwood products are an excellent option we’d like to tell you about if you are looking for an exotic species grown to sustainable forest certification standards. Lyptus offers all of the benefits expected of a tropical hardwood, Lyptus hardwood is ideal for cabinetry, millwork, furniture and flooring applications. Eucalyptus trees grow quickly and can be harvested within 14-16 years of planting. Because these trees are manually pruned during their growing years, logs coming into the mill are more uniform and have fewer knots. This in turn results in high conversion rates of logs to clear lumber. It’s also available in solid or engineered flooring. Our engineered flooring is also a good environmental choice. The plywood base is made from native trees harvested under the Forest Stewardship Council (FSC) certification and meets the new California Air Resources Board (CARB) formaldehyde regulations. Virtually every inch of every log is put to good use — even the residuals are used as fuel. Available in 3 ¼- and 5-inch widths, its standard tongue-and-groove construction allows it tobe stapled, glued down or floated. It is well suited for any area of your home, including below-grade spaces and rooms with radiant heat. Their engineered flooring is also a good environmental choice. 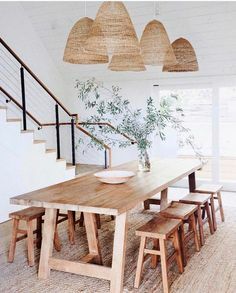 The plywood base is made from native trees harvested under the Forest Stewardship Council (FSC) certification and meets the new California Air Resources Board (CARB) formaldehyde regulations. Virtually every inch of every log is put to good use — even the residuals are used as fuel. Choose from a palette of six rich colors and varied strip lengths to create a living space that’s uniquely yours and can endure for years to come. Lyptus solid hardwood flooring is harder than oak, less expensive than walnut, and as beautiful as Brazilian cherry. Available unfinished or in six pre-finished colors, it complements the most stylish interiors. Its tongue-and-groove construction, natural hardness, and aluminum-oxide finish yield long-standing durability, while its low VOC (Volatile Organic Compound) levels makes it a healthier choice for your household than many other flooring options. Come check out samples in our showrooms. We don’t stock this material, but can order it for you to arrive in just a few days! Debating between Laminate and Hardwood Floors? Here are Some Questions to Consider. Choosing new flooring, but confused about the differences between wood and laminate? Here are a few items to consider as you start your decision process. Lifestyle: Children and pets don’t function well with wood floors. Spills and scratches can quickly move wood from beautiful to distressed, and maintaining a wood floor requires prompt attention to even a small amount of moisture, as well as an annual application of a wax or polyurethane coating for finish in place applications. A good quality laminate will continue to look new despite family challenges, and can be maintained with a damp mop. Home Value: In higher-end homes, wood, tile or stone is the flooring of choice. Although resale may not be part of your current plans, because of the long life of flooring, you should always keep resale in mind when making your choices. In family-style neighborhoods, laminates will be a welcome choice for a homebuyer. Personal Preference: Be sure to visit homes or spaces with both laminate floors and wood floors that have been in place for a good number of years. Wood develops a patina of scratches and dents, as well as some uneven fading, that some like very much and others dislike. A top-quality laminate will continue to look like-new, but some people don’t care for the repeating pattern that is part of even the best laminate floors. See what you prefer. Once you have addressed these issues, take the time to visit with us. Our sales team is well informed on the newest products, and their advantages and disadvantages. Make a list of questions and concerns, so that your final decision is well-considered and you are happy with the outcome. We are happy to help with any questions you may have! To learn more about hardwood including how it’s made and an online product catalog, click here. To learn more about laminate, click here. Why Colors Change in Different Lights and Making Sure Your Color Choices Work. Lighting has a direct effect on color. This makes it hard to select colors unless you take a look at them under a number of lighting types. Fluorescents, for example, tend to add a blue or cool cast to most colors. Incandescent lights, at the other end of the spectrum, add warmth and a bit of yellow to colors. Every retail store makes its own lighting choices – working to make their products clear and visible for customers. Homes have different goals for lighting, and this can affect your color perceptions. If you have noticed that something you bring home looks different, often lighting is the reason. Sunlight, or natural light, is about in the middle of our color spectrum, and we perceive that light as color-neutral. It’s interesting to realize that actually, natural light is a direct reflection of our sun. If our sun was a different type of star, we would have different tones in our natural light. From a decorating perspective, you want to evaluate your color choices in a neutral light setting. For that reason, the best way to evaluate a color choice in a store or in your home is to take it to the nearest window. In your own home, daylight is the most common light, followed by incandescent light at night, unless you have been environmentally responsible and moved to compact fluorescents. Not happy with the way the compact fluorescents make your home look? It’s because replacing incandescent bulbs cools off a room, and your selections were made with warmer lighting in mind. The good news is that you can now get much warmer fluorescents. So don’t stop at color when making decorating decisions. Take a look at your lighting – both in the store and in your home. You will be happier with your choices! At Century Tile, we pride ourselves on making your shopping experience the best it can be. That’s why we developed our exclusive pricing labels. Take a look at our labels and what we’ve done to help simplify things for you! I’m so confused about carpet for my kitchen. I’ve had a nylon in for 13 years and from my wood chairs with plastic gliders over the years now it has rippled. I had planned on getting another nylon kitchen carpet. All carpet is commercial and very dark colors. I don’t want a solid color. Some dealers recommend going to olefin but several have said stay away from it as it shows burn marks from chairs moving or hot things splattering. Will the dark close in my kitchen? My dining room/kitchen is 12X22feet. The dining of it is 12X12 the rest is kitchen with a counter dividing it in the U shaped kitchen. I have a kitchen window and a patio door with gold drape and window in the dining area and creamy light gold walls. I thought I wanted a lighter color as my living room is a light cream with a very few gold flecks and has a 6ft. opening into the dining room. The living room has a big 5 section bow window that lets in lots of light too. I have oak cupboards with black/stainless appliances. I am so frustrated I just want to bury my head. Some of my family say try to find light as it will blend (impossible to find) or go totally dark (browns) to divide it. 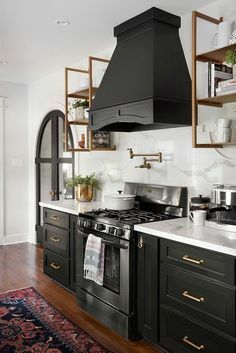 What brands would you carry in carpet suitable for kitchens. We live in the country. Thank you so much. Choosing new flooring can be confusing and overwhelming, but we are here to help! First, you will want to keep your search in the commercial carpet department if you plan to have chairs with rollers. Carpet has a better chance of holding up when chair pads are used under rolling chairs, but you probably don’t want that look in your kitchen! It’s great to hear that you don’t want a solid color because carpets with multiple colors and pattern can help hide dirt and traffic found in a kitchen and dining area. 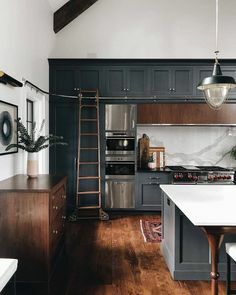 A dark colored floor will only close your kitchen in if you have dark cabinets, dark walls, and very little light in the room. It sounds like you have natural light coming in from the window and the sliding door and light walls. Light colored floors will blend with light walls and other light products in your home, but along those same lines, a darker floor will provide a nice contrast. This comes down to personal preference. Another tip, remember that this is YOUR home and the more opinions you get from friends and family…the more opinions you will have….not answers that are right for you! We carry Mohawk commercial products that will hold up well in your kitchen. You can view some of our products in our online product catalog here. Feel free to bring us a photo of your kitchen and dining area and we will be happy to review light and dark options with you. Another consideration you might want to think about would be hard surface floors (such as tile or laminate) with a nice area rug or bound piece of carpet on top to give you the warmth and feel of carpet while getting the benefits and durability of a hard surface. You also might enjoy browsing our gallery of room scenes or using our virtual room designer tool to help you see the effects of different floors and wall combinations. You can find those here. If you see some things you like, you can save them into your very own workbook. We hope this information helps and look forward to helping you choose a new floor for your home!